The ESPU has decided to revitalize the Thesis Award. This price will be awarded once a year during the Annual Meeting to the best thesis published in the two preceding calendar years. Lecture: "DSD: At the crossroads of Medicine, Human Rights and Politics"
ESPU has sent an open letter to the Council of Europe in response to resolution 2191 (October 2017) on DSD. 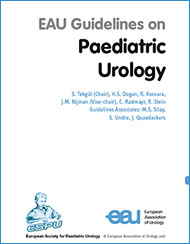 The European Society for Paediatric Urology is a non-profit society whose main purpose is to promote paediatric urology, appropriate practice, education as well as exchanges between practitioners involved in the treatment of genito urinary disorders in children. 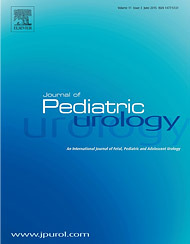 New chapter "Persisting Urogenital Sinus and Cloacal Malformations" available now! NEW : Would you like to organise the Annual ESPU Congress? Would you like to organise an ESPU course? Provided by the SPU, all issues available (from 1977 until today). Access restricted to ESPU members. 122 pages, March 2017 edition. 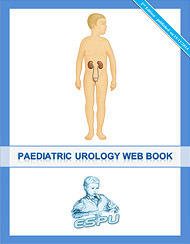 A web-book containing informations on the most common genito urinary disorders in children. To extend this section, send your publication and work research to Mrs Lynne Barlett. 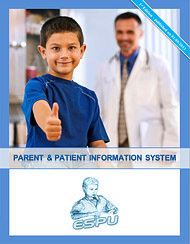 123 figures and 495 pages. The official journal of the Society. 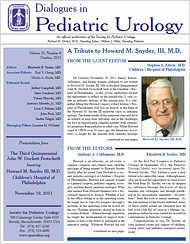 Access and subscription is managed by Elsevier. 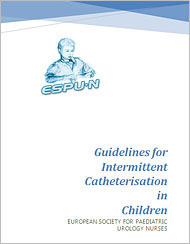 Teaching & performing of intermittent catheterisation in order to maximise patient safety & comfort.